Good Morning. I have a dilemma with pancakes: I love to eat them. What’s better, or worse, is that I love to eat them in stacks of four, glazed with melted butter and swimming in maple syrup. And 1,000 calories later, I’m feeling really good in a bad kind of way. Because of my extreme love for pancakes, especially the extra sweet and high-calorie variety (think chocolate chip and peanut butter), I recently went through a brief pancake withdrawal. I stopped making pancakes because there was a high likelihood/certainty that I would eat myself into a pancake coma. And we all know what happens when you go into a pancake coma. Or at least I do. But as you can see, times have changed. I have a new pancake strategy that allows me to enjoy pancakes, and still have room for lunch and dinner. And my skinny jeans. The very sneaky trick: smother my pancake with (a reasonable amount of) cottage cheese and fresh berries. A drizzle of honey makes it officially the best way to enjoy pancakes without all the calories. And I don’t feel like I cheated myself by only eating one. Ok, maybe I had two. But I feel no shame! On the other hand, let’s be honest: I was raised on chocolate chip pancakes, butter, and syrup (thanks, mom) and I will always hold that near and dear to my heart. So if you find me with a plateful of pancakes – butter, syrup and all – cut me some slack. It’s my heritage. Oh yeah. 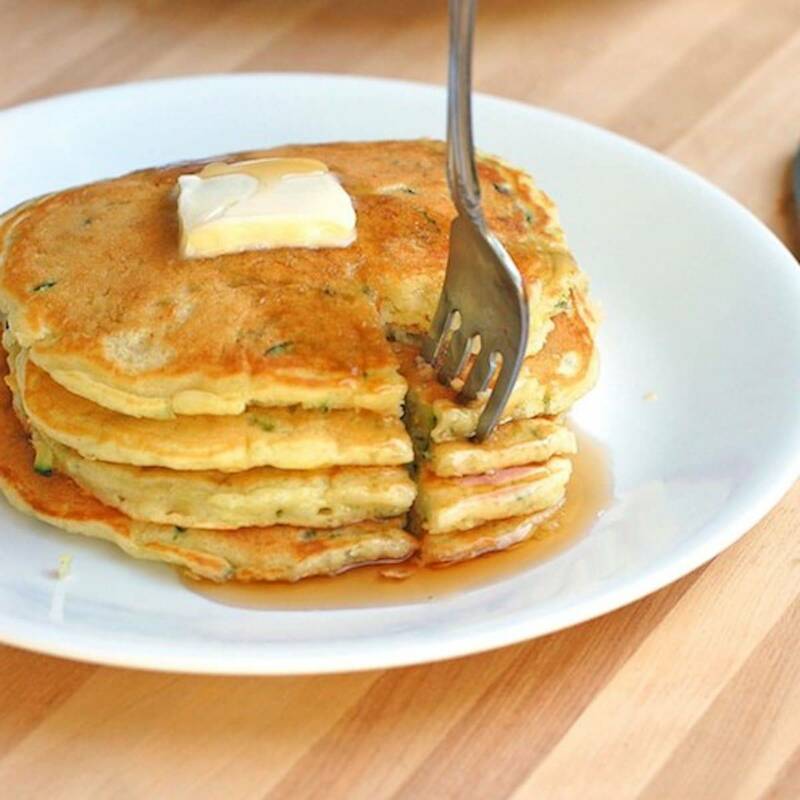 In case you didn’t notice, these sweet zucchini pancakes have vegetables in them, so that cancels out all butter. Obvs. Per the request of some comments, I have removed this recipe in order to direct you to the updated (and much improved) Zucchini Pancakes recipe! 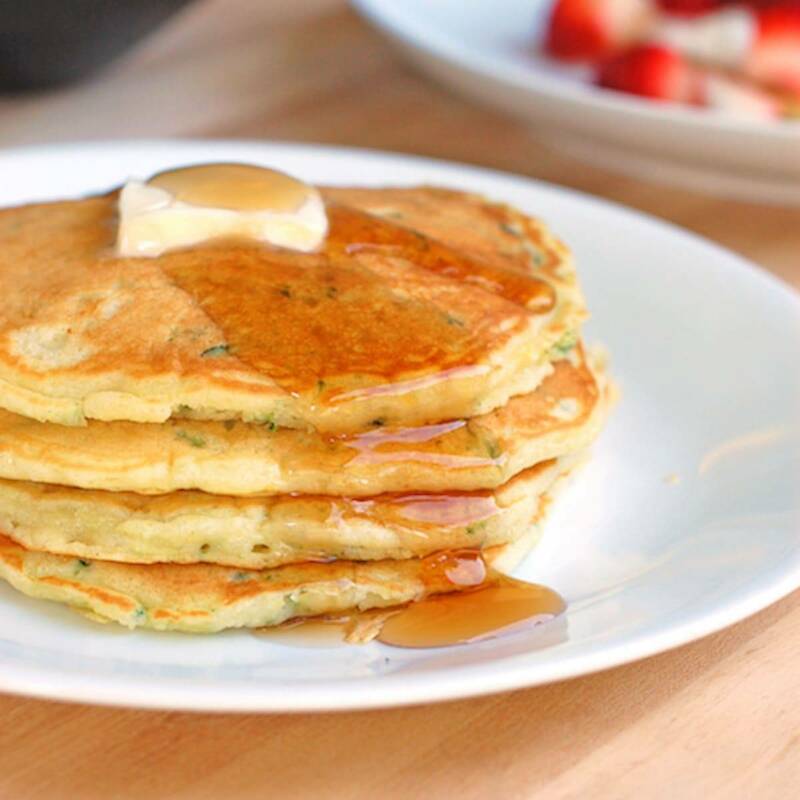 Click here for the new Zucchini Pancakes recipe post. Light, sweet, perfectly golden… I love these almost as much as the lemon pancakes. Syrup? Berries? Peanut Butter? …Hot Fudge Sauce? All are welcome. I just wanted to say thank you for this post I love these pancakes and so did my kids. I love zucchini and I am always looking for fun recipes and this one is a keeper! Awesome, so glad to hear it Kellie! I wish I had read the comments first! I just spent almost two hours making, trying to save, and then re-making a new breakfast after completely failing. Would you consider removing this original recipe and replacing with your updated so that others won’t have the same experience? I followed the recipe exactly, and the results were sadly inedible. Sorry to hear that Liz! I will work on an updated recipe! Yes!!! I agree! PLEASE remove this recipe, especially since you have replaced it with the other zucchini pancake recipe. I haven’t tried any of your other recipes yet, but you do not want this recipe hurting your website. 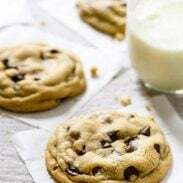 I loved the original recipe and was upset when I went to make it and it had been changed. Wish it was still here so I could go to my board and make it. Sorry about that, Verlene! The comments were overwhelmingly in favor of removing it and replacing with this newer one. 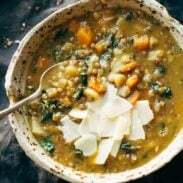 The recipes are similar, but this one seems to be better and it has been tested more, so I hope this one can work for you too! No it doesn’t work for me. Fortunately my daughter wrote down the old recipe and sent it to me. In the future if a recipe is changed it would be nice to have the original somewhere where it can be accessed. Disappointed that Pinterest doesn’t have this. I’m glad your daughter had it written down for you, Verlene! I will take that into consideration next time. Delicious! I used a cup of wheat flour, and didn’t have any flax seeds, so I used chopped toasted walnuts. The recipe makes a lot of pancakes! Family loved them.